There's nothing new under the sun. This old saw is one of the first things you learn on the job if you're a writer, artist, or other drudge who tries to earn a living making things up. I can still remember my astonishment when, a few years after my first book for kids was published by Henry Holt in 1994, an almost ridiculously similar children's title (though in pop-up form) came out from Little Simon. 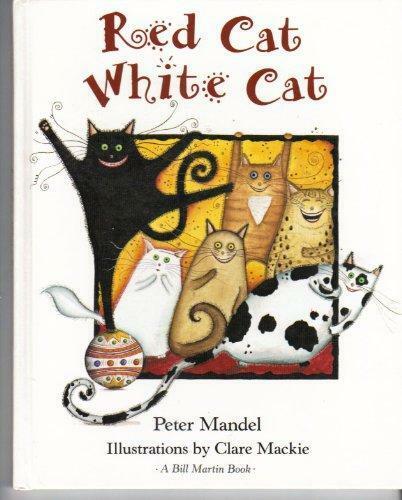 My title, Red Cat, White Cat, a simple picture book of opposites, started off this way: "Red Cat, White Cat, Day Cat, Night Cat. In Cat, Out Cat, Thin Cat, Stout Cat." 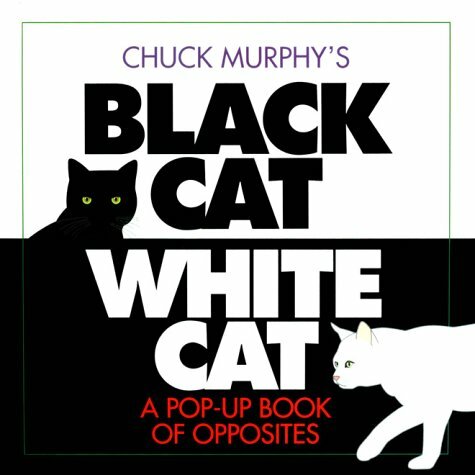 Not to be outdone, Chuck Murphy's 1998 Black Cat, White Cat: A Pop-Up Book of Opposites begins like this: "Black Cat, Day Cat. Fat Cat, Thin Cat. Out Cat, In Cat." Well, I thought. Maybe Chuck Murphy was having a bad day. Maybe I should forgive and forget. Maybe, I thought. Maybe. I contacted a copyright lawyer. To make a long story brief, I learned THE LESSON. That, although text and specific wording is subject to copyright laws, infringement is a difficult thing to prove in court. And, just before cashing my check, my lawyer added: "Just so you know, you can't copyright a concept or idea." This legal reality doesn't do very much to heal the burn when concept rip-offs happen. And, since there's very little to prevent them, they happen all the time. For example, as if this simple concept of picture book cats and opposites hadn't already been bludgeoned to death by me and my old pal, Chuck Murphy, Candlewick came out last summer with a truly groundbreaking children's title called (I swear I am not making this up) Black Cat, White Cat by Silvia Borando. Even more demoralizing than this, in some ways, was passing a rack of magazines the other day and seeing the May/June 2016 issue of Yankee Magazine, "Best of New England." Now, being a New Englander, I've always had sort of a soft spot for Yankee and admiration for their longtime editor, Mel Allen. 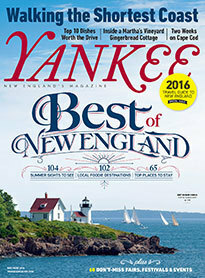 But, in chunky type at the very top of the magazine cover was a banner touting Yankee's current feature on walking the New Hampshire coastline south to north, "Walking the Shortest Coast." I think you know where I'm going with this. Along with children's picture books, I write about travel for newspapers and magazines, and for Huffington Post. A few years back, in its July/August 2009 issue, Coastal Living published my feature, "Walking New Hampshire," with, as it happens, an eerily similar cover banner. In case you think it might have been a different sort of piece, here was the subtitle of my story: "Follow in the footsteps of writer Peter Mandel as he chronicles the shortest shoreline of any state--taking in the beauty of iconic New England towns and scenery." I know, I know. You can't copyright a concept. 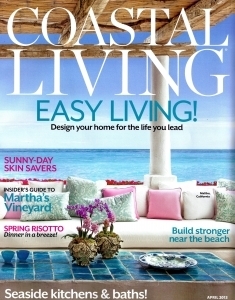 And you may prefer Yankee's article to mine for Coastal Living. But even a cursory bit of Googling by Yankee editors would have turned up the Coastal Living piece and the fact that it later ran in umpteen newspaper travel sections in New England and around the country, including The Philadelphia Inquirer, The Dallas Morning News, The Columbus Dispatch, The Providence Journal, etc. Why wouldn't the staff there or the writer of the piece, Julia Shipley, have taken the minimal trouble of at least tweaking the concept a tiny bit? Walking the shoreline, let's say, from north to south. Walking a different bit of coast. There's nothing--absolutely nothing--new under the sun.